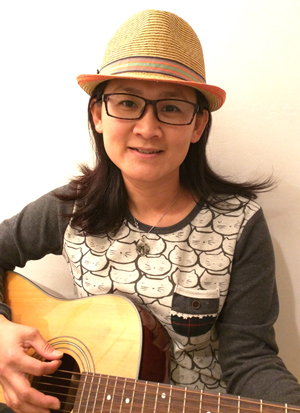 Teacher Chih-Hui is a "Music Together®" registered teacher. She has been connected with music learning since childhood. She was in the school percussion band, marching band, and the school chorus. She discovered her inner music passion again while she was in her children’s music classes such as music together, Kodály, and rock band. She recently restarted guitar and piano lessons, and drums with her son. She consistently creates a music environment at home and engages with kids through music by jamming with instruments, dancing and discovering new music with her kids. Teacher Chih-Hui is fluent in Mandarin. She is currently teaching "GoMandarin" in Oakland center and she is also our Music Together substitute teacher in Early Start Music.